Assemblymember Tony Thurmond certainly has many options when it comes to handing out his endorsement in the crowded field of diverse candidates hoping to replace him in the 15th District this fall. 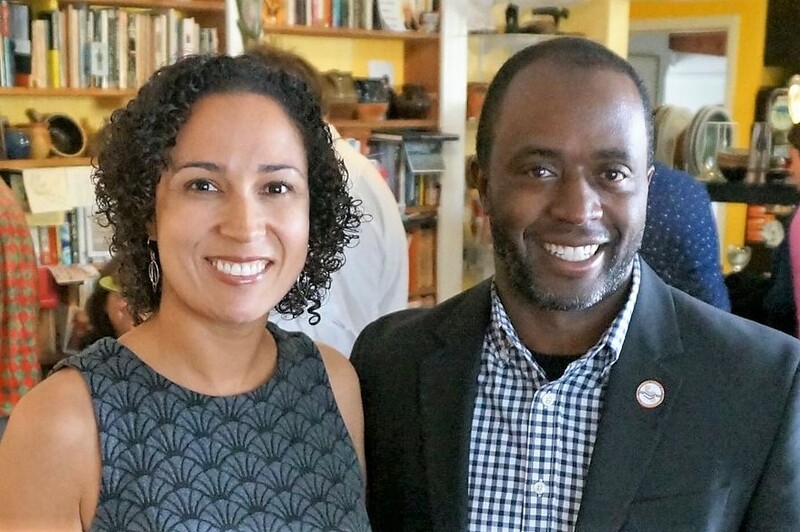 Thurmond, who is not running for re-election in order to run for the statewide superintendent of schools, announced Tuesday that he is endorsing first-term El Cerrito Councilmember Rochelle Pardue-Okimoto in the Juine primary. Pardue-Okimoto is also a Registered Nurse at Alta Bates Hospital in Berkeley. The hospital’s imminent closure by Sutter Health is a major issue in the Assembly 15th District race. She also has the endorsement of the powerful California Nurses Association. “Its been an honor to work along side Rochelle, a labor leader and activist, in our ongoing efforts to prevent the closure of hospitals that provide critical services to the people of the 15th Assembly District,” Thurmond said in a statement. Pardue-Okimoto said the endorsement signals her campaign is gaining momentum. But, Thurmond’s endorsement is not entirely surprising since he voted for Pardue-Okimoto at last month’s California Democratic Party pre-endorsement meeting. No candidate garnered enough support among party leaders to receive the influential Democratic Party’s support, but Pardue-Okimoto did well, nontheless, earning the third-most number of votes. Posted in 2018 election, AD15, Assembly, California Democratic Party, California Nurses Association, endorsement, June primary, Rochelle Pardue-Okimoto, Tony Thurmond. Bookmark the permalink.